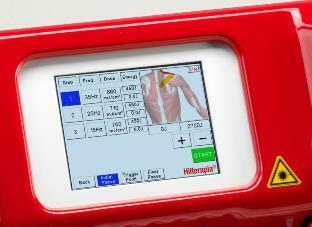 The Hilterapia range of therapeutic lasers use the patented HILT® (High Intensity Laser Therapy) laser beam. 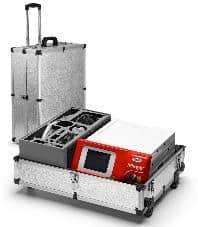 The SH1 reaches power peaks of 1kW from a superpulsed Nd:YAG laser source delivering up to 5 W cm². HILT® delivers a high energy impulse that efficiently heals deep-seated pathologies. The duration and frequency of the HILT® impulse means that its use is always safe because it constantly maintains the skin temperature below the thermal damage threshold. 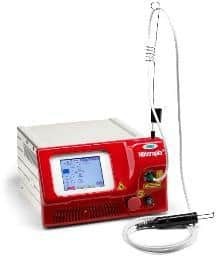 The high intensity power, unattained by other laser technologies currently available, allows effective treatment of deep chronic lesions including the bone-tendon-muscle interface like osteoarthritis. The therapy provides a simultaneous analgesic, anti-inflammatory and antioedema effect. In addition, it is reparative and regenerative. The small size of the unit has been designed specifically for sports medicine as the unit is comfortable to use and easy to transport. A distinctive characteristic of the HILT® pulse is its ability to induce photomechanical effects.